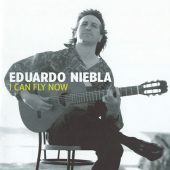 In a career spanning four decades, guitar virtuoso and composer Eduardo Niebla has been acclaimed as one of the most potent forces in flamenco jazz fusion today. 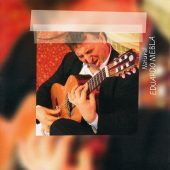 And his highly lyrical style, with explorations into Indian, Arabic and classical music, has resulted in the most electrifying, brilliant and poignantly poetic guitar playing on the world circuit. 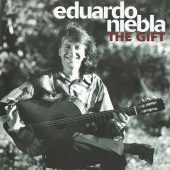 His concert appearances have included the Cairo & Tbilisi International Jazz Festivals, the Jaipur Festival India, the Queen Elizabeth Hall London, the Odessa Jazz Carnival, the Olympic Games Greece, the San Isidro Fiesta Madrid, Glastonbury and the Brecon International Jazz Festivals, as well as concert tours to Europe, the Baltic States, the Middle East and South Africa. 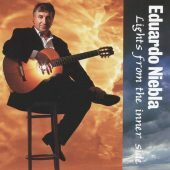 It’s a journey which has led to many collaborations with artists across the globe including jazz saxophonist Lol Coxhill, Indian maestros Nishat & Wajahat Khan, Deepak Ram (bamboo flute) Kala Ramnath (Indian violin) & Purbayan Chatterjee (sitar), as well as flamenco bass pioneer Carles Benavent, his brother Salvador Niebla (drums), the spiritual gypsy singer and percussionist Paban Das Baul, Palestinian oud player Adel Salameh, electronic global phenomenon Juno Reactor, the Dante String Quartet and pop musicians George Michael and Craig David. 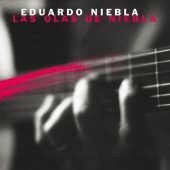 Eduardo is currently recording his new album, his 24th, due for release this year. 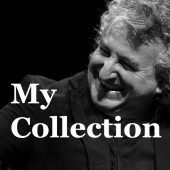 This features several new Festival commissions, including pieces for guitar, string quartet and choirs. 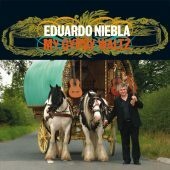 Over the years Eduardo has been commissioned to write music for films, documentaries and plays, including for the BBC, as well as collaborating with writers and poets including Fran Landesman, Mike Horovitz and Ian McMillan . TV, radio and press interviews include: BBC2 (The Culture Show), BBC4 (World of Jazz), BBC Radio 3 (In Tune), BBC Radio 4 (Midweek, Loose Ends), RTE 1 (The View), RTE Radio 1/Newstalk (Pat Kenny) Arena, Yorkshire Television Calendar, Yorkshire Post Magazine, South Wales Evening Post, BBC Radio Wales, Norwich Evening News, The Independent & London Jazz. “No recording can do full justice to the thunderstorm of this musician in full flow – deep booming chords interspersed with lightning percussive effects… his language is full of hot, dark, Mediterranean passion.” (Scotsman).